This Saturday marks the annual return of Free Comic Book Day! In one of the greatest days of the year, many comic book stores across the country hand out free comics, hold costume contests, and celebrate another great year in comics. To find a participating store near you click here. As I do every year, I am going to talk about my top 5 selections from this year's titles. They are in no particular order. Secret Empire #1 - The next big Marvel event is here and this is your introduction to the chaos. Captain America, under the control of a cosmic cube, believes he is an agent of Hydra and is waging war on the Marvel Universe. While I tend to be skeptical of the summer events, this one has me on board and hopeful at this point. I personally enjoyed the Captain America is a sleeper Hydra agent arc and look forward to where this one goes. The Legend of Zelda: Twilight Princess/Ocarina of Time - Anyone who knows me understands that I am a huge Zelda fan. I have been able to play many of the titles with my son, and we have both read some of the manga, but not too much of it. This book features excerpts from both the Twilight Princess and Ocarina of Time manga from Viz Media. My only concern is that this will lead to the inevitable purchase of the whole series. DC Super Hero Girls Summer Olympus Preview - I love sharing my love of comics with my kids and they have both enjoyed the DC Super Hero Girls line. One thing I have enjoyed with this series is that it allows you to see flaws in some of the heroes and the good in some of the villains. By examining these characters when they are in high school really sheds valuable light into their true character. 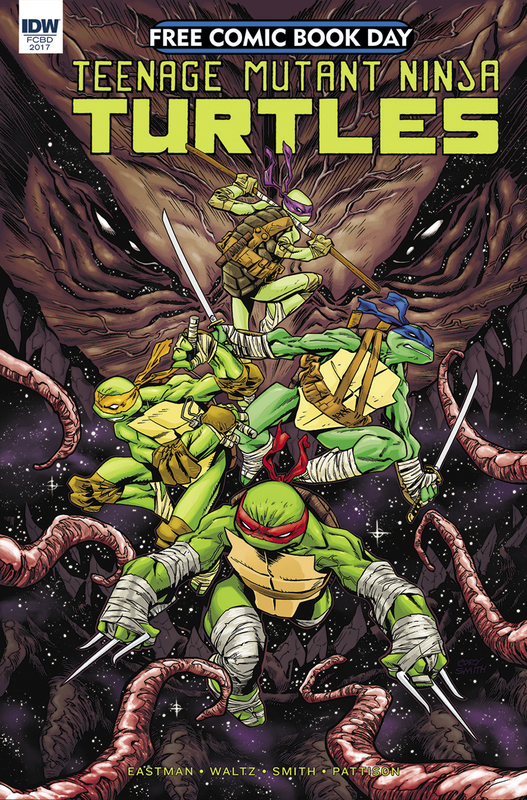 Teenage Mutant Ninja Turtles: Prelude to Dimension X - A new Turtles event is dropping this August and this book serves as the prequel to this five-part series. I am a huge fan of the IDW reboot of this series and cannot wait to see what we have in store. Sounds like a good jumping on point for any Turtles fan who has not checked this series out yet. All New Guardians of the Galaxy #1 - With the new Guardians movie opening this weekend, I have no other choice than to check out the new comic. The icing on the cake is that this series is penned by the hilarious Gerry Duggan and I cannot wait to read this title.